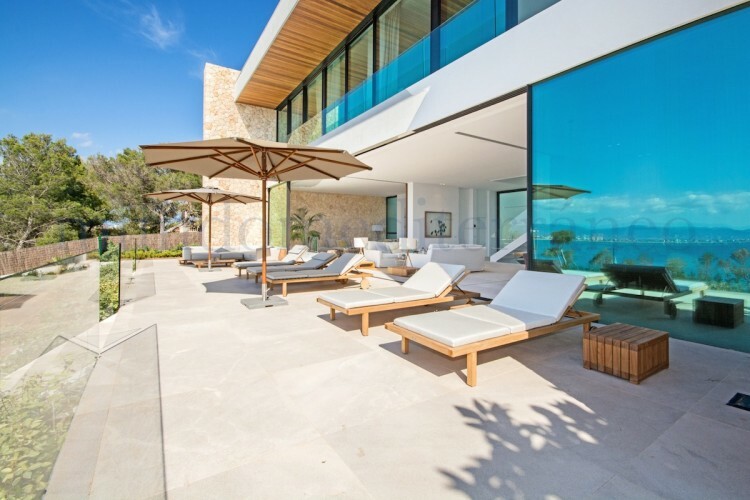 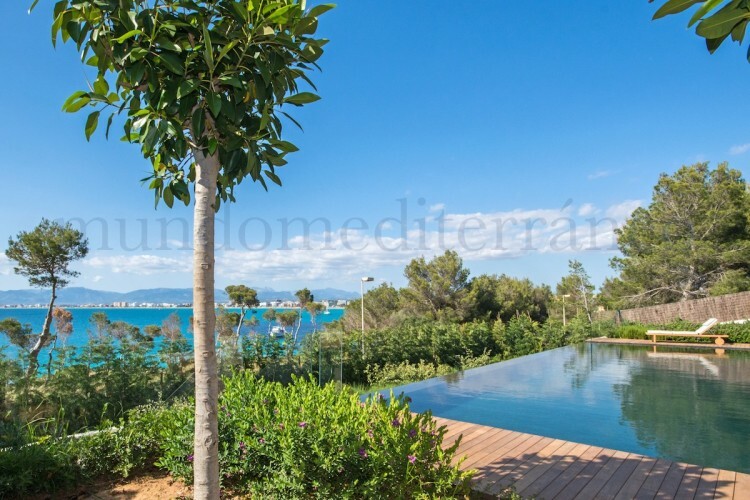 Impressive luxury villa of 600 m2 located in front of the sea, in the quiet area of ​​Son Veri Nou. 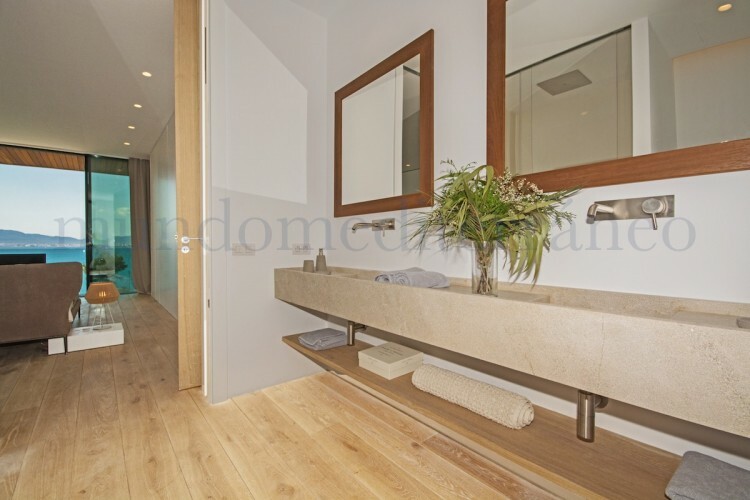 The property consists of 4 levels, on the ground floor we have the garage with capacity for 4 cars, a practical gym with machines, a modern sauna with Turkish bath, the laundry room with appliances, and a service room with bathroom. 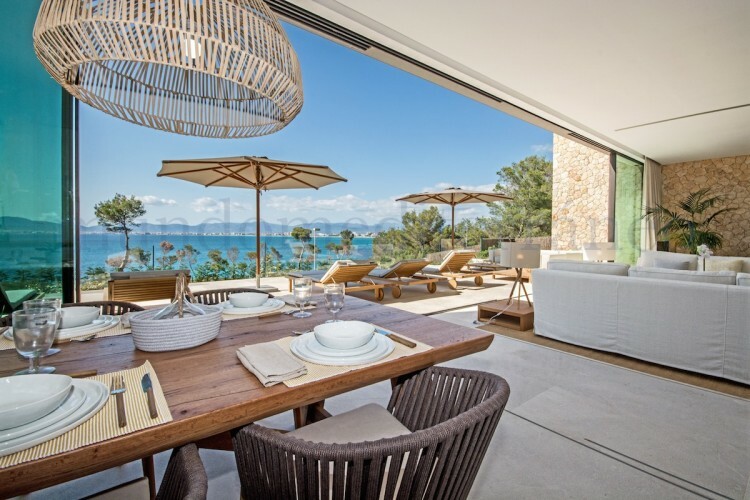 The first floor can be accessed by elevator, stairs or the large main door that welcomes us with a huge seating area, on the right a comfortable living and on the left a modern kitchen with island and dining room and all appliances, there is also a toilet in the hall next to the elevator and in front of the stairs. 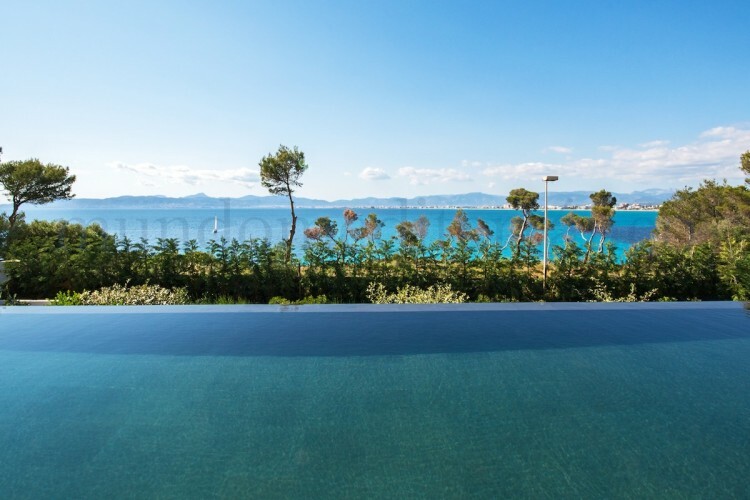 All the rooms on the first floor open onto a fantastic terrace with sun loungers and outdoor furniture with direct views of the sea and the 15-meter-long pool with a Mediterranean garden on two levels and with direct access to the sea just 100 meters away. 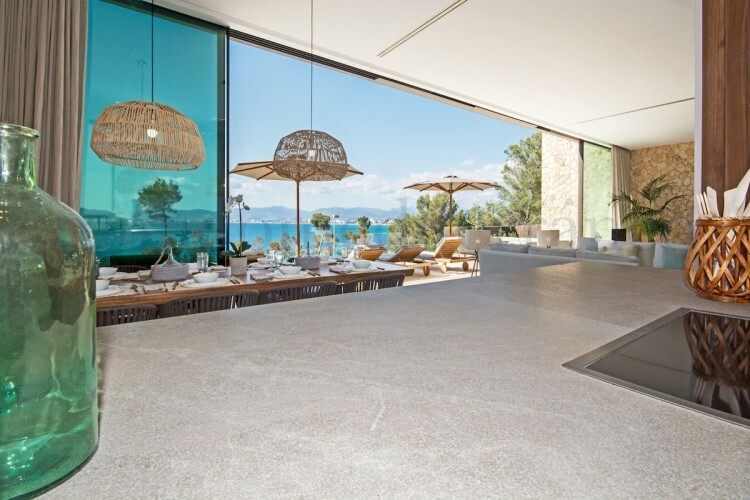 The windows of this floor can be opened wide and convert the entire space between the living rooms and the terrace into something unique and harmonious facing the sea. 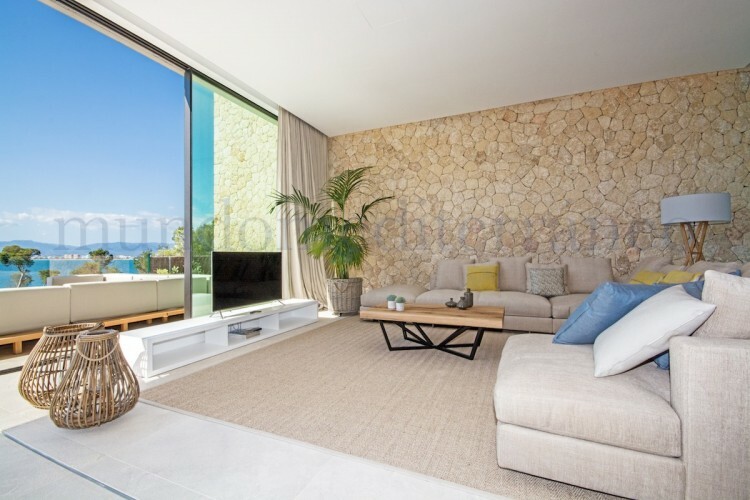 On the second floor we find the master bedroom with bathroom en suite and spectacular views, two double bedrooms with en suite bathrooms and sea views and a single bedroom with bathroom en suite as well. 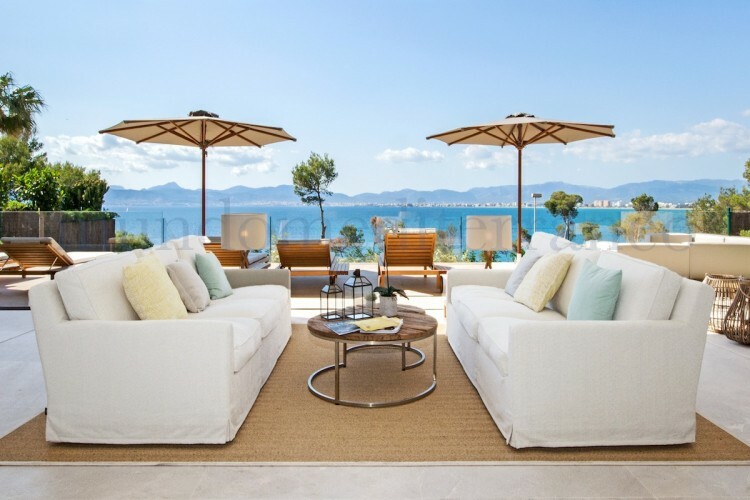 On the top floor we have an enormous terrace with 360 degree views, onto the yacht club and the entire Bay of Palma. 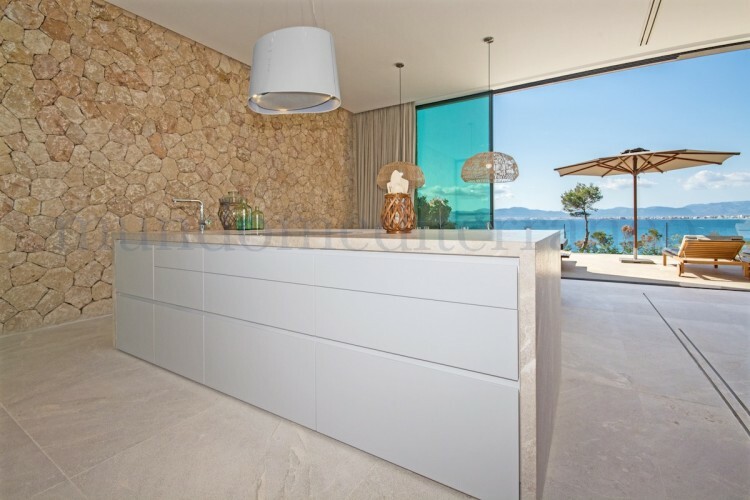 The property consists of solar panels, underfloor heating and gas boiler and hot/ cold air, it is sold fully furnished. 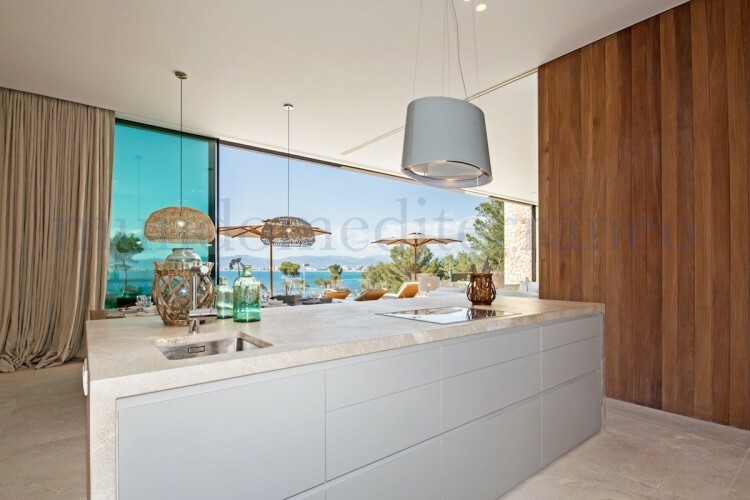 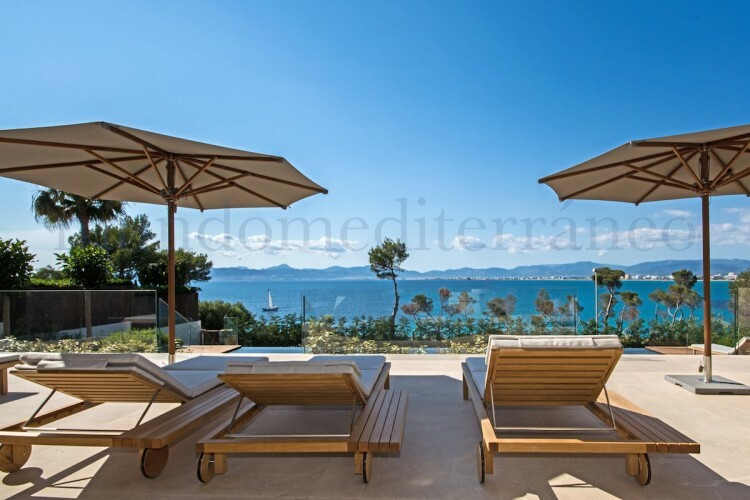 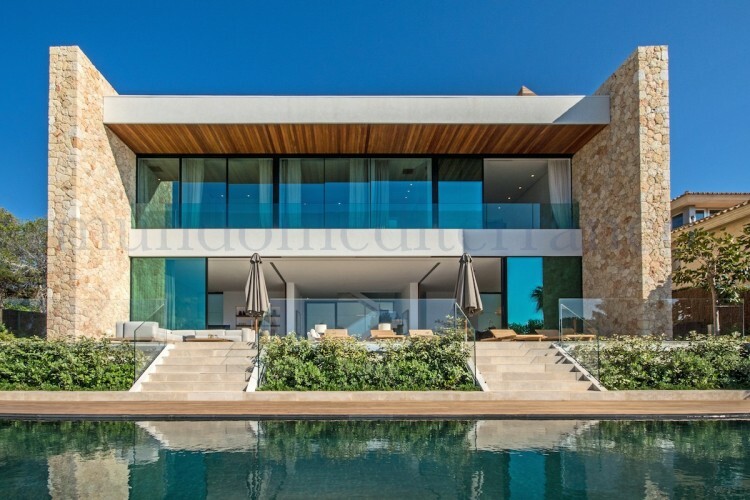 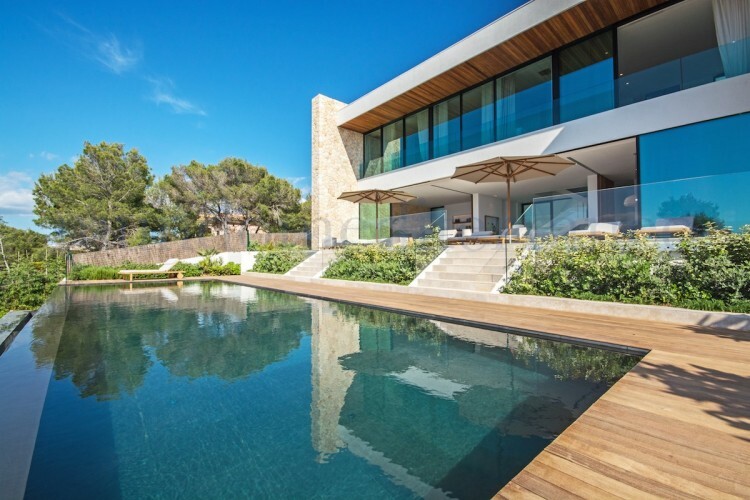 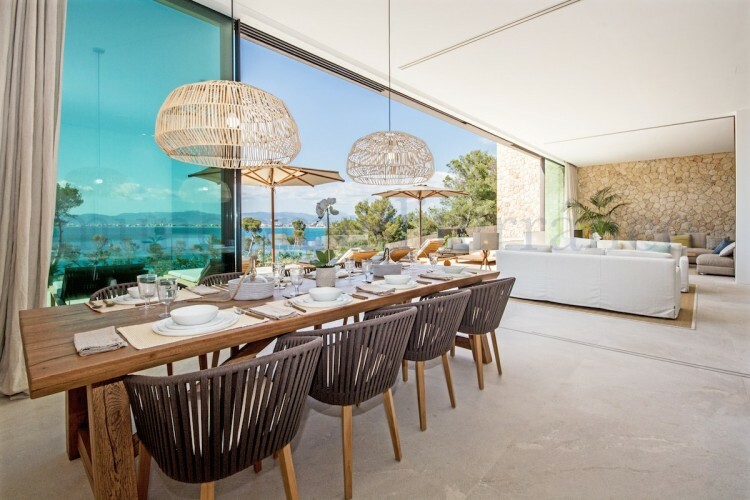 An impressive Villa, made with quality materials with the best views of Palma, only 15 minutes from the city center, 10 minutes from the airport and close to bars, restaurants, shops and leisure areas.